These days everyone appears to be looking for the quickest way to get results. They want to lose 20 pounds in ten days, they want to be a black belt in 3 years or have their first fight in 6 months. The vast majority of us know that training and sensible nutrition will lead to long term sustainable results yet we would much rather do 6 weeks of the Angry Viking diet and a strength program designed for Bulgaria’s National Olympic lifting team. 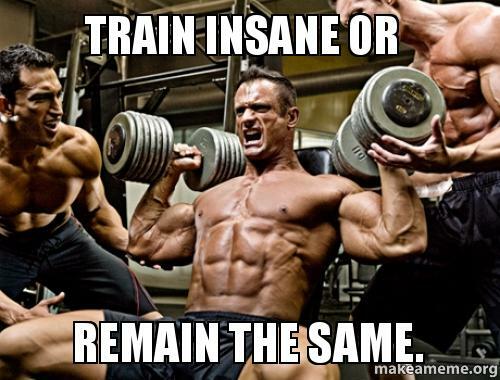 There is always a time and place to “Train Insane” but the vast majority of your training should be at a level that is sustainable. This ensures that your training remains consistent and consistency is the key to learning. Im not suggesting that your training should not be difficult far from it, but if someone were to say that your current schedule was one that you would adhere to for 5-10 years you should not be overly traumatised. Now try suggesting the same thing to a fighter who is training for a bout. Most guys train 6-8 weeks specifically for a fight, at an incredibly intense level. If you suggested to a fighter that they would benefit from being in camp for a few years you may have a discussion on your hands. Going all out and pushing yourself to the limit everyday sounds cool and makes you feel like Conan but it is ultimately unsustainable. You may find professional fighters back in the gym a day after they have competed (particularly at the Griphouse) but they are almost certainly training at a lower level and enjoying themselves more. Seven weeks into an eight week fight camp very few athletes are truly enjoying their training. The level of intensity combined with pre fight pressure and other stressors takes its toll on the athletes. Many mention looking forward to getting back to regular daily training where they can focus on getting better as opposed to winning a fight. 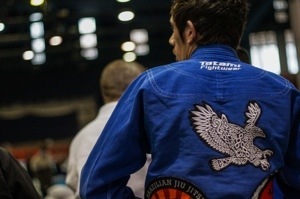 It is not uncommon for some fighters to only train when competing. 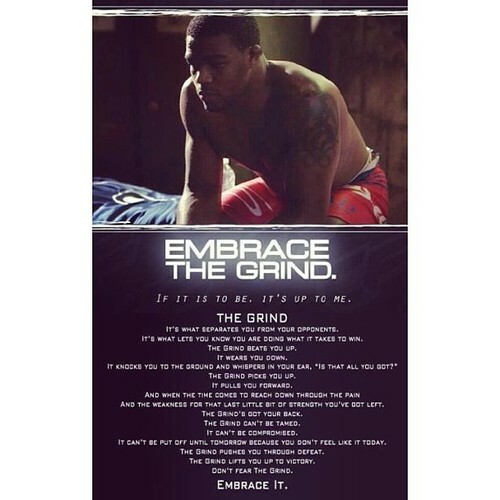 The expression “Embrace the Grind” seems to have come from the wrestling community and is the counterbalance to the Train Insane ethos. Its the long slow “grind” to improvement and mastery. Its turning up every day, doing what you are supposed to do and slowly dragging yourself towards your potential. You are training hard but in a way that does not leave you ruined for your next session. You are putting in the time and enjoying the process, the small victories that lead to the big improvements. Jiu Jitsu guys will roll light , in Thailand fighters will rarely spar at a competition level instead they play around, wrestlers will flow wrestle. All of these interventions allow the athelete to get more mat/ring/cage time in and anything that increase the amount of deliberate practice is highly beneficial to those commited to getting better. Sparring at 100% could maybe be done for 3 rounds twice a week, maybe? But drop that intensity down to 60-80% and you can be doing 30+ rounds. The further we get away from 100% the less “real” it becomes but with 10 times the mat time, who is learning more? Getting better at any activity is actually quite simple. Do you want to be a great guitarist? Well you should probably get a good teacher and practice as much as you can. The same goes for any activity. Want to get good at it? Do it a lot. Embracing the grind means turining up and paying your dues. It is the tougher path as it is sustainable. You wont have the luxury of burning out, giving up or picking up an injury as the intensity is optimised. Everyday you will have the battle with yourself to train or not to train. This will happen forever as you have commited yourself to life long improvement. Missing a session here and there has no effect in the short term but in the long term this adds up. Eventually you will be where you want to be you just have to keep going.